This teaching tool will give any alcohol education program an added dimension, allowing the instructor to deliver a powerful message quickly and clearly. Drinking and driving are a deadly combination-a point graphically demonstrated, especially to young people, using the Drunk & Dangerous glasses. Because the glasses' simulation of drunkenness is so real and intense, wearers can't help but realize that alcohol really does make driving dangerous. Glasses do not represent a specific blood alcohol concentration. 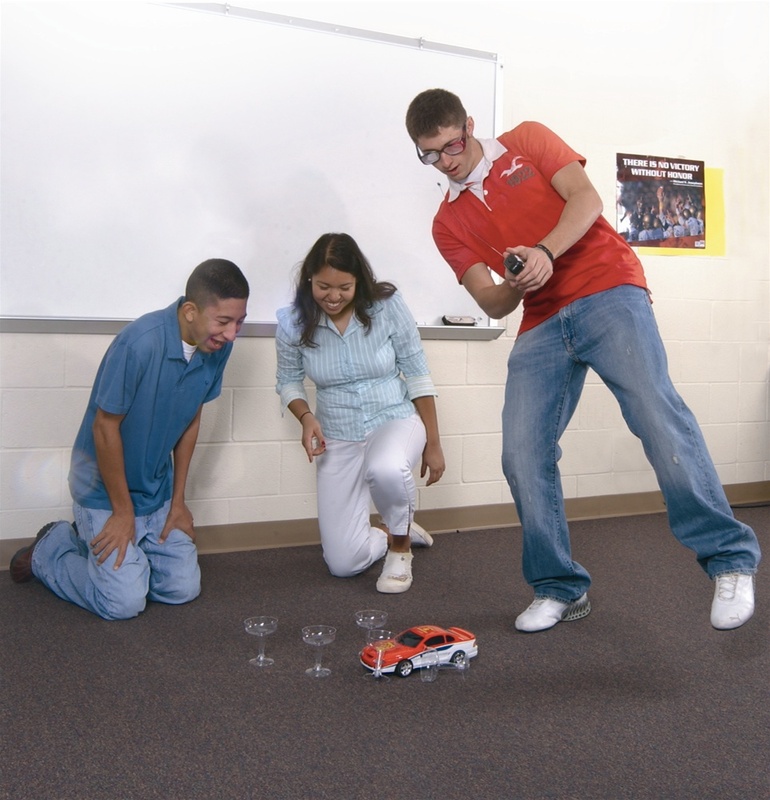 DRUNK & DANGEROUSTM INTERACTIVE ACCESSORIES: Drunk & Dangerous Remote Control Car-This colorful, radio-controlled, 11"-long car is perfect for classroom demonstrations. Participants can try to steer the car through an improvised driving course after setting up the included champagne glass pylons. Students will love this game, and it will be a lesson they won't forget. Drunk & Dangerous Beverage Set-Each plastic glass has a tiny "smashed" car embedded in its plastic simulated liquid. Although they make their point without words, these three models are excellent discussion starters.